The gold medal of the Olympic Women's Team event once again went to the defending champions, China, following a sweep victory against Germany. Since 2008, the winning team in this event hasn't changed but with China facing issues on retirement, could they still be confident? The Olympic Women’s Team event finished with another victory for China. 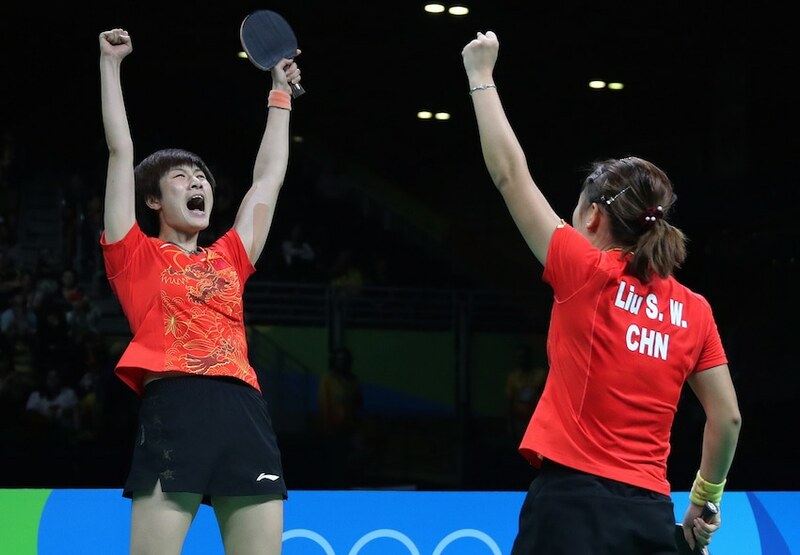 With the invincible forces of Li Xiaoxia, Ding Ning, and Liu Shiwen, the Chinese Team clinched the Olympic gold in a sweeping manner. Since the inception of the Team event in 2008 Beijing Olympics, the championship title has always been secured by China. But can they maintain such glory for the next four years? This definitely can be an issue for the Chinese Women’s Team knowing that their main players will be in their retiring age in 2020. In fact, Li Xiaoxia has already announced her breakup with the Olympic Games. Meanwhile, Ding Ning will be turning 30, and Liu Shiwen will be 29 by then. For the Chinese Team where champions are getting younger and younger, this age could be a disadvantage. As the head coach, Kong Linghui would still want to talk through this issue with his players, hoping for an extension. The head coach is aware that fighting with players without experiences could be a little risky. But, coach Kong will always have faith on his team. They have the comprehensive and systematic training, and not to mention the confidence just by being a member of the strongest team in the world. “However, we will certainly not going to be afraid. Among the young athletes, our players are still better than them. We have Zhu Yuling, and Chen Meng. Its just that their experience in big competitions is still small,” concluded Kong Linghui. On that note, Japanese Mima Ito will certainly have an advantage over these Chinese players as at age 15, she hasn’t just been in the biggest sporting event in the world, but also won an Olympic medal.